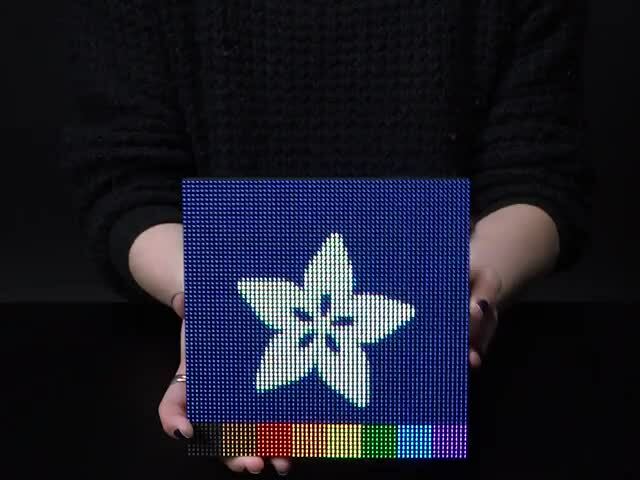 LED physics on a Pi powered Matrix #3DPrinting #3DThursday « Adafruit Industries – Makers, hackers, artists, designers and engineers! These LEDs interact with motion and looks like they’re affect by gravity. An Adafruit LED matrix displays the LEDs as little grains of sand which are driven by sampling an accelerometer with Raspberry Pi Zero! The 3D Printed handles make it easy to hold the 64×64 LED Matrix and the two buttons make it easy to switch modes or reset simulations!